Mango Languages is a language program you may have heard about in the past - it is a foreign language resource available from many libraries. The brand new Mango Homeschool Edition brings the Mango program to students ages 6 and up at home! Our family had the opportunity to work with a beta version of this program. Mango Homeschool Edition is huge. The major advantage to this version over the library version is just how much you have access to. For example, libraries have only one level of a language (and variety is limited), while the homeschool version has every level of every language that Mango offers available to you. In addition, there are community features that the library version doesn't have. 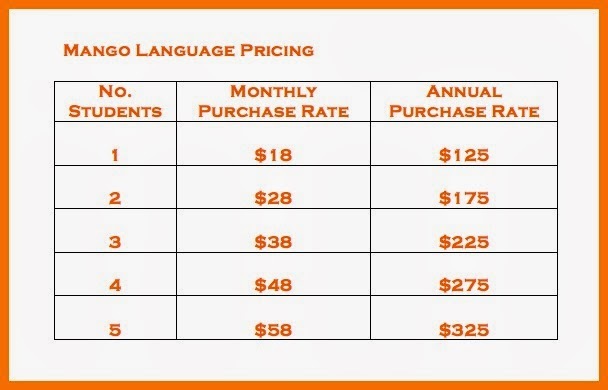 Note that the annual pricing is significantly less than the same year-paid-per-month fee (ie, 12 mos @ $18/mo = $216; the by-the-month for 5 students would add up to over $700 annually). If you decide to try Mango Homeschool Edition with a monthly subscription but later decide you'd like to switch to an annual membership model, you need to contact Mango directly - there currently is no way to make this change from your online account. For this review, our family tried out Latin (new language/Luke & Meg), Spanish (as a supplemental program/Luke, Matthew & Celia and refresher/Meg), and Romanian (new language/Meg). Unfortunately, as much as we wanted to like this program, it just didn't work for us. First of all, we found the program challenging to navigate. I wouldn't say it is difficult, once you figure out what you're doing. Getting started was the hardest part, and it took a lot of "hmm..what's this do...*click*...nope...try this...*click*..." to get things underway. I will say it got easier as it went along (or it could be that after setting up so many accounts I finally got good at it). Second, the program really wasn't what I had expected it to be. My language experience has been with units that are structured to teach vocabulary along with grammar rules in a progress-to-mastery format, while Mango teaches in a more conversational manner that seems to meander around. Luke really wanted to learn Latin to supplement his Spanish course, and I've always wanted to learn Latin, so this was our first stop. For Latin, it was not a conversational language, but rather memorization of ancient Roman texts - passages written by Julius Caesar, Phaedrus, and Cicero. While on one hand he was learning Latin in context of the texts, I didn't feel like he was really learning to read - mostly just to memorize rapid-fire. There was some grammar to learn, but it wasn't explained well - or it was after you had guessed a conjugation wrong. We found that while the list of topics (greetings, inquiries, etc.) was standard for different languages, Latin sort of missed the mark. For example, the first unit of Latin is taken from Julius Caesar's Gallic Wars. We learned what languages were spoken, and the nationality of the different people, but it was more from reading/translating and not conversational. 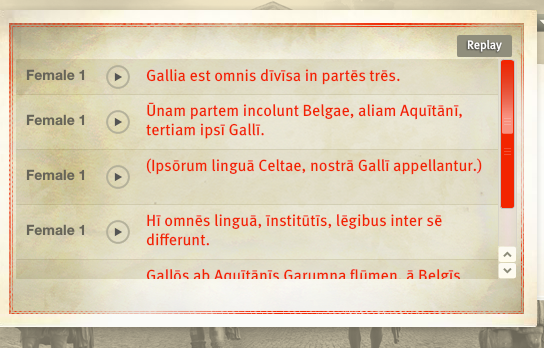 We learned (translated) "All of Gaul is divided in three parts. Belgians live in one part, Aquitanians in another, the third part the Gauls themselves. In their own language, they are called Celts, in ours, Gauls. " Learning to translate ancient texts isn't a bad thing, but it wasn't a practical "Here is a unit on nationalities," or "To conjugate this verb..." This was more of a "recreational, broaden-your-mind Latin," if that makes sense, rather than a practical base for learning other languages. 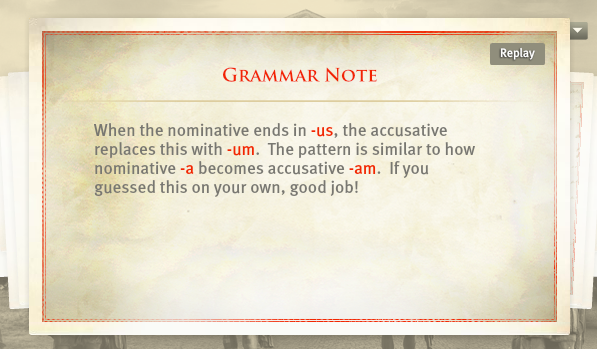 Luke was really confused, because he didn't understand the difference between nominative and accusative - it never is defined, just the patterns explained. It was also as-you-go practice, with the tenses alternating, and he was never quite sure which to use. He was able to sort of figure things out because patterns/endings were similar to Spanish, but it would have been much more helpful to have been taught the rules and then been able to practice them independent of other tasks With 68 lessons available, I think it's enough to count as a year of language - but I'd count it as an elective, NOT as a year of "usable foreign language to count towards high school core requirement diploma credit." Even though I think Latin is a language that can and should count towards diploma credit (if only as a way to learn the root of many other languages), I don't think THIS course will do it. The Spanish course contains two placement tests. One is longer than the other, but both are a good idea if you are not new to the language. When we first began, this test wasn't working, and Celia began with Lesson One. 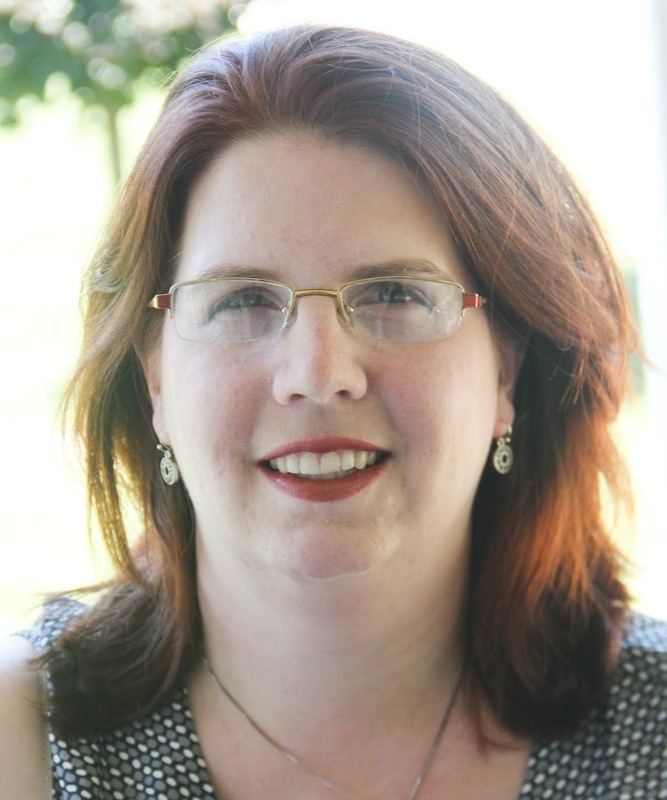 After having studied Spanish for five years, she was frustrated starting over with "Hello." Towards the end of the review, the placement test was available, so I tried it out. Frankly, I was impressed that I could recall enough more than 20 years after my last classes to skip to Chapter 14! I definitely recommend that you attempt the placement test if you have experience with the language. The Spanish and Romanian programs were a little different than Latin. These are presented in a more conversational and practical format (Lesson 1 of Romanian is mastering variants on "Hi, how are you? I'm good, and you? "; Spanish Lesson 14 is location of things - yes, it's the "¿Donde está el baño?" chapter). 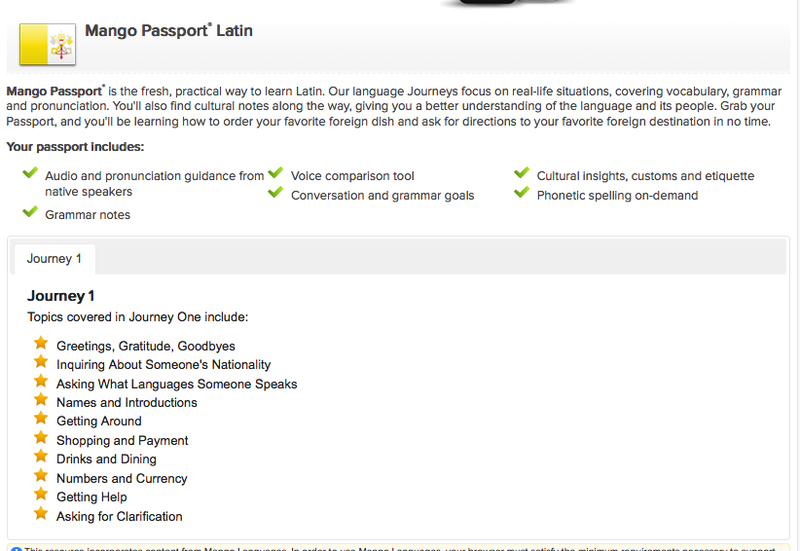 However, like Latin, the lessons are presented in a rapid-fire memorization format. On one hand, this is good because they're simple, useful phrases that a traveler would want memorized. On the other hand, you become almost trained to hear a particular word or phrase. In the English language, there are so many way to say "Hi, how are you!" - even just in the American dialects. While there may be a formal/accepted way of speaking, with the drilling the program gives you, you need to hope the foreign speaker uses it and not a vernacular idiom (the difference between "Hello, how are you?" translates to "Hola, ¿como estás?" versus a less formal "What's up?" that equals "¿Qué pasa?"). It's possible that when you're so intent listening for the specific you were drilled on, you may wind up totally flabbergasted before you speak if the foreign speaker says a different phrase. Here is where having actual conversation with a person comes into play, so while this is a good basic course, I definitely recommend trying to find someone in real life who speaks the language to practice with - someone who you won't offend if you use the wrong degree of formality, and who might help you practice more colloquial phrases. I chose Romanian as a "new" language because my brother-in-law is originally from Romania, and we send cards and notes to his mother; my children even call her "Mamae." (Mamae is the Romanian word for "grandmother,") My end goal was to be able to write a note to Mamae, and maybe even to translate the books of poetry that Tatae ("grandfather" - Uncle J's dad) wrote as well. Again, though, I think it's going to be a struggle, because I only am learning particular phrases, not a broad base of vocabulary or grammar rules. Although I could write the equivalent of "Hello, how are you? I'm fine," I can't open a dictionary, find the word(s) I need and create my own sentences. After studying three different languages, I think the issue with our family isn't that the program doesn't work, but it doesn't work for our needs. We were looking for a more academically structured program, that teaches the rubrics of language and allows the speaker to build on them with further study to increase vocabulary. However, Mango is more of a conversational language program. 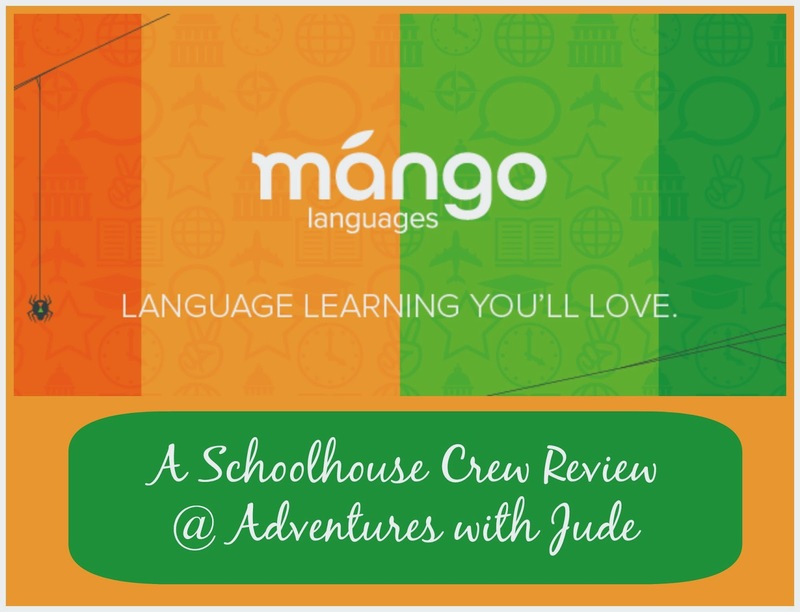 If you are going to be living in a foreign country as an exchange student or long term expatriate, then Mango may be a good choice for you, because you will rapidly learn enough conversation to get around while you add to your language skills. ¡Ver como otras diciendo sobre Mango Languages, marque la bandera debajo! 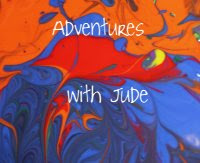 website in the evening to see precisely what else you've available :-) !!! in regards to free office software downloads! !